Ben Carson couldn't be more unqualified for many jobs. He's a strange dude if you ask me who has made controversial and bizarre comments in the past. He doesn't have any business heading up the Housing and Urban Development Department. Thanks carol for your take. I had forgotten about the controversy over U.S. phone surveillance of European leaders a few years ago. The Senate Intelligence Committee did look into the allegations and seemed to conclude that Obama didn't institute the surveillance. Some articles seem to put the blame on the previous administration (Bush) and the National Security Agency. Obama claimed to not know of this ongoing activity but tried to mend bad feelings with European leaders and promised to put a stop to this activity. I saw a news program over the weekend profiling Marie LaPen's (sp?) run for office. Her rhetoric is really scary too. Two stories. One very sad. One very funny. Khizr Khan, the father who spoke about his son's death while representing America at the Democratic Convention, has had to cancel a trip to Toronto because his 'travel prvileges' are 'being reviewed'. He has been an American for thirty years. And Donald Trump has decided that St Patrick's Day is to be celebrated with a new green hat - except there's a clover on the back instead of a shamrock! At long last, House Republicans have unveiled their replacement plan for the Affordable Care Act. As previously reported, the GOP plan provides significantly less financial support to those purchasing individual insurance plans through government-run exchanges. Under the ACA, tax credits were provided to 85% of people enrolled in the exchanges, and the amount of the subsidy was determined based on income level, geographic region, and age. The amount of the tax credit in the House bill is based exclusively on age: The older you are, the more you get per month (though still less than you would get under the ACA). The rationale is that older people have higher health care costs than the young, though of course this isn’t always the case. While at first there was no income limit on the tax credits—every person who purchased individual coverage was set to receive a subsidy under a previous iteration of the bill—far-right outrage led the GOP to begin phasing out the credits at $75,000 for individuals and $150,000 for joint filers. After that, the credits decrease. As we reported previously, a report from the non-profit Kaiser Family Foundation found that older Americans will receive significantly less help paying for their premiums (more on that below), as will the poorest young Americans. Americans earning $40,000 to $75,000, on the other hand, are the winners—their subsidies will increase, based on KFF’s projections. Under the ACA, insurers could not discriminate against people with pre-existing conditions like cancer, diabetes, or heart disease. The GOP plan does away with this popular component and institutes a continuous coverage provision. Per the House bill, those with lapses in insurance cannot be denied coverage, as in previous iterations of the GOP plan. But they can be charged more, starting in 2019 (or 2018 for those gaining coverage during a special enrollment period). Enrollees cannot have gone 63 continuous days (or more) without coverage, or they would pay a 30% penalty on premiums. Older consumers would pay more for coverage under the GOP plan. The oldest consumers on the individual market are 64, just shy of the Medicare eligibility age of 65, and under the Affordable Care Act they can be charged no more than 3 times what a 21-year-old would pay. The GOP plan would broaden the age bands, as these rate limits are called, to 5 to 1, allowing insurers to charge the oldest consumers five times more than younger ones. What’s more, the proposal would give the states the latitude to broaden those limits even further or to constrict them back to 3 to 1 or another level. Moving to a 5-to-1 rating would increase monthly premiums for a silver plan in 2018 by 25% for a 64-year-old before tax credits, according to a research report conducted by Milliman on behalf of the AARP Public Policy Institute. (Meanwhile premiums would decrease by 25% for 21-year-olds.) “We do not want to go back to pre-ACA days when people couldn’t afford their premiums,” says David Certner, legislative counsel with AARP. Older consumers would get hit with a double whammy: not only may their premiums increase, but the restructured tax credits won’t go as far as those under the Affordable Care Act in subsidizing the premium cost, Certner says. The new tax credits are based on age, not on income, while in reality many of the consumers on the individual market are lower income, according to the Kaiser Family Foundation: about two-thirds of all enrollees have incomes at or below 250% of the poverty line, or approximately $31,250 for a single person. The GOP’s plan includes the phase out of the Medicaid expansion, despite pleas from Republican governors to keep it in place. About 10.7 million people were newly eligible for Medicaid coverage after the ACA went into effect, according to the Kaiser Family Foundation. One of the only ways to pay for the GOP’s health subsidies and cut taxes the ACA imposed on the wealthy is to cut off federal Medicaid funding. States will be allowed to continue to enroll people into Medicaid until 2020. Then, it will “freeze,” and no other enrollees can be added, the thinking being people will eventually drop out of the program as they earn more money. States that did not expand Medicaid will receive $2 billion in extra funding over five years. The GOP proposal is unusual in that it hasn’t yet been scored by the Congressional Budget Office, the federal agency that calculates the impact that proposed legislation would have on the debt other considerations, AARP’s Certner says. “Clearly, there hasn’t been a great desire to share this information with the public,” he notes. The CBO report will likely come by the time the bill reaches the House’s budget committee. In the coming days, lawmakers in the Energy and Commerce Committee and the Tax Committee will work on the bill and then pass it along to the budget committee. The bill will not likely proceed to the full House for a vote unless lawmakers are sure in advance that it will secure the needed 218 votes to pass, Certner says. If all proceeds smoothly, the full House could vote on the bill within two weeks, he projects. Then the bill would move on to the Senate, and if it passes there will likely get signed into law by President Donald Trump. What is the point of giving high wage earners tax breaks?! If the new plan gets rid of the individual mandate how does that help to cover health care costs?That's the problem now with the ACA. Not enough healthy people are signing up. They would rather pay the fine and that is one of the reasons the deductibles are so high for a number of people. I think the Republicans need to go back to the drawing board. Obamacare needs to be improved so costs go down for everyone. I don't think this plan offers a good solution if older and lower wage earners end up having to pay more out of pocket over time. It's my understanding the members of Congress have their health care paid for by the government. Maybe they'd come up with a more realistic/fair plan if they had to pay out of their own pockets instead of using our tax money. In Germany health insurance is a compulsory insurance for every employee, everybody pays a certain percentage of his income, and it's substracted from your income by your employer who pays 50 % of your health insurance. So those with a higher income pay for those with less income, healthy people pay for ill people, young ones for older ones. You don't need to pay for your kids and also not for your husband or wife who doesn't work (unless they are unemployed and get unemployment benefit, in this case the government pays for their health insurance). When you work, you can choose your health insurance company, otherwise the government chooses it. People who are on social welfare, get as much health insurance coverage as those who work. People who are retired, sometimes have to pay for their health insurance, depending on their pension. There are a few exceptions to this system, and those use private health insurances but have to cover 100 % of the insurance premium, and you also have to pay insurance premium for your kids and partner. And the premium is not based on your income but on the coverage you want. When you're self-employed, there's obvious no employer, and the costs are often difficult to bear, so many of them don't have enough coverage. When you have a high income, which also means that your employee saves his payment. When you work as a public officer for a government, with the exception that the government pays 50% of every bill. Carolhathaway - It isn't that different here although until the Affordable Care Act health care wasn't mandatory. Many people have insurance through their jobs, where they pay part and their employer pays part and they include their family members on their insurance. Others have private insurance which they pay for themselves. There is Medicare for senior citizens and Medicaid for low income people who have no insurance at work and can't afford private insurance. The problem is that we don't all deal with one agency (like the government) but have to deal with insurance companies which are out to make a profit. They can deny coverage or raise their rates and there's little we can do about it short of taking them to court. The system is complicated to begin with and made worse by these companies that put profit above all else. LizzyNY wrote: It's my understanding the members of Congress have their health care paid for by the government. Maybe they'd come up with a more realistic/fair plan if they had to pay out of their own pockets instead of using our tax money. I checked this out. I didn't know this but was curious when a Member of Congress said in an interview this week that he had Obamacare and it was really expensive. In fact, Members of Congress and congressional staffers must purchase their health coverage through the health insurance marketplace. Unlike the Federal Government which provides its own health plan to its employees Congress must use Obamacare. Of course, members can afford to purchase the more expensive plans but it can pose more of an issue for staffers. The U.S. is one of the few countries that doesn't have a national healthcare system. It doesn't make sense to me. It seems to work incredibly well in other western countries. If we had instituted a program years ago our healthcare costs at this point in time could have been significantly lower. In Germany we've got problems with Turkish politicians who are campaigning for their new constitution. Since we've got millions of people with Turkish roots and nearly 1.4 million who are allowed to sign the referendum about the new Turkish constitution makes Germany interesting for campaigning. Especially since they tend to vote more conservative than the Turks living in Turkey. So the Turkish Secretary of State called us using Nazi methods and said that we're no democracy and they don't need us to tell them about democracy. Anybody wants a good laugh at International Womens Day? What a gentleman he is! How else do you show your respect for the woman who shares your life and bore your child? I could almost feel sorry for her - almost. Nah! Why didn't he go to other side he has no manners. We already know how rude he is. He barely puts up a loving front when he is with Melania. Unfortunately she made her bed when she married him. But I can only imagine how unhappy she is now that Trump is in the White House. She seems like she doesn't want any part of this show. As I said, I could almost feel sorry for her if I hadn't read via Daily Kos that she's not much nicer than her husband (my words). Unfortunately I deleted the article and have a terrible memory so I can't give specifics, but apparently an interview she did was published and it was not as complimentary as she would have liked. Her "fans" inundated the reporter, who is Jewish, with death threats and Hitler speeches among other hateful material. Melania said some of her "fans" may have gone a bit too far. Not that they did go too far and should never have done it - just that they may have gone too far. Really? Death threats aren't too far? Any sympathy I may have had for her just dried up. If Trump makes her miserable, so be it. I saw an article where IVANKA is setting HER platform! Have we heard what Melania's platform is? Interesting to read about Trump allies being hired for government positions. Hadn't heard that one. I have heard that there are a number of important positions especially within the State Department that have not been filled yet. Severely lacking is a Deputy Secretary of State. Russ Tillerson is basically going it alone and not doing that impressive of a job so far. It was noted last week that he didn't hold a presentation of the latest State Department's annual report on human rights. It's done every year but not this one. Four long term career State Dept. employees (some had been there for almost 40 years) were let go and no one has filled those positions. Yes a nightmare filled with nitwits and nut jobs! BTW Melania did host an International Women's Day lunch at the WH yesterday. Trump did what he does so well .... he tweeted in recognition of the importance of women in the world. Did he finally realize that women are good for more than just grabbing their private parts? Anything he said re:women is bull. I'd lay odds the statement wasn't written by him - he's not half that coherent - and his behavior toward women proves he has no respect for them at all if they're not lying on their backs. On a lighter note: Daily Kos poster Murfster35 called the Cheeto-in-Chief "Hair Furor". Clever, no? The White House said on Friday that President Donald Trump did not know until this week that his former national security adviser, Michael Flynn, had been working as a representative for Turkey, although the issue was raised with the Trump team before the Republican took office. Flynn acted as a foreign agent representing the interests of Turkey’s government in exchange for more than $500,000 during last year’s presidential campaign even as he was advising Trump, the New York Times said on Friday. White House spokesman Sean Spicer told reporters Flynn's lobbying was a personal and business matter, and it was up to him to decide when to register. Asked if Trump had not been aware that former general Flynn was working as a foreign agent, Spicer said: "Correct... You wouldn't know that until he filed. He didn't file until two days ago." Some U.S. lawmakers have questioned Flynn's relationship with the government of Turkish President Recep Tayyip Erdogan. Before Trump's inauguration, Flynn's ties to Turkey were widely reported and he wrote an article urging the United States to cultivate better relations with Erdogan. Trump fired Flynn last month for discussing U.S. sanctions on Russia with the Russian ambassador to the United States before Trump took office on Jan. 20 and misleading Vice President Mike Pence about the conversations. Before Trump took office, Flynn's lawyer contacted the presidential transition team about his work for Turkey to ask what he should do, Spicer said. The lawyer was told "it was up to the personal lawyer to work with the appropriate authorities ... to determine what was appropriate and what was not appropriate in terms of filing," Spicer said. "We trust people to fill out the forms that they are required to do so in an honest and legal manner, and in this case he retroactively filed the forms he was supposed to do," he said. "We did the right thing then, and we expect every employee to follow the law." More lies from Trumpville annemarie. There were not only news reports back in 2016 from CNN, the AP and others about Flynn's possible working for Turkey. Congressman Cummings from Maryland wrote a mulipage letter to the Trump transition team before the election and questioned Flynn's association with the Turkish government. So either Trump is lying again or he and his people are totally inept. Or both. Iif what Spicer said is true, the very fact that Trump didn't know speaks volumes about what Trump thinks it means to be President. How are you not fully informed about the people surrounding you? They're like the Keystone Cops. Watching people so unqualified trying to run the country is embarrassing! Oh, I think he knew. I just don't think he necessarily has any moral compass. You only have to look at all the new contracts the Trump organisation has signed recently in China which include massage parlours etc. It's as if the rules don't apply to him or his cohorts. It certainly surprised me to learn from one of the town halls that no one in Congress or the Senate has to submit their tax returns! Would that indicate abuse of power at every level? PAN - I'm not sure what you mean. Everyone has to submit tax returns to the IRS - everyone. However, there is no legal requirement for members of Congress to make their tax returns public or, as far as I know, to submit them for review when they take office. There are mechanisms in place for various Congressional committees to investigate the finances and taxes of congressmen if wrongdoing is suspected. There are people in Congress trying to use those rules to get Trump's taxes made public but they are being blocked by the Republicans. That may change if Trump keeps expanding his business empire outside the US. It is getting harder and harder to ignore the fact that he is in violation of the emoluments clause of the Constitution (at least) and is possibly vulnerable to outside influences because of his overseas holdings. I do have to give Trump props for being consistent. He has been sued a gazillion times over the years and has managed to keep the process going even after his election. Offhand I can think of three lawsuits brought against him since his swearing in. Some things never change. Lizzy, I was watching a town hall ( I think it was Lances's in NJ) and someone asked if he believed that Trump should publish his tax returns. Lance replied 'no' and that he didn't publish his either to some shock in the hall. He had to complete a financial statement instead..
More creative writing for the accountants I'm guessing..........? PAN -It doesn't surprise me that he doesn't think Trump should release his tax information- or that he hadn't done so either. Most people here think their personal finances are nobody's business but their own - and the IRS's (which is supposed to keep it confidential unless legally required to release it). The difference with Trump is two-fold. First, for the last half-century all other Presidents have voluntarily made their tax returns public. Second, Trump's business interests are extensive, especially outside the US, and could lead to conflicts of interest and violations of the Constitution. If only to clear up suspicion he should release his returns. The longer he waits the more suspicious it looks. What is he hiding? As far as a "financial statement" is concerned, I don't know what he meant. Did he say why or for whom he had to supply this statement? 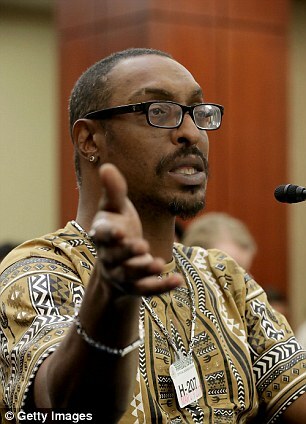 Muhammad Ali's son was detained for the second time in a month by TSA officials, and believes that they are doing so because he is Muslim. 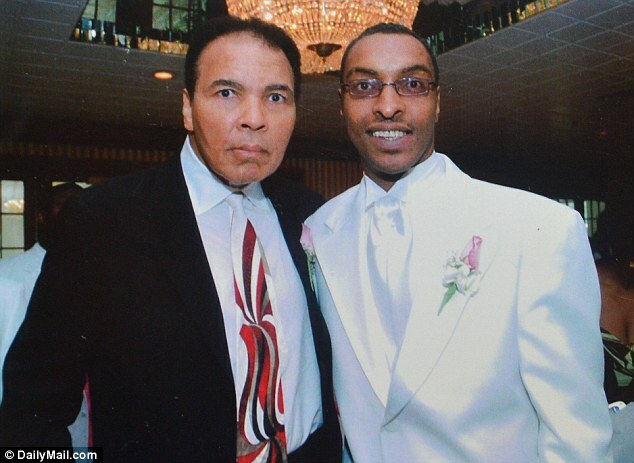 Attorney Chris Mancini says Muhammad Ali Jr. was detained for 20 minutes on Friday as officials asked yet again to check his ID and passport before he could board a JetBlue Airways flight home to Florida. 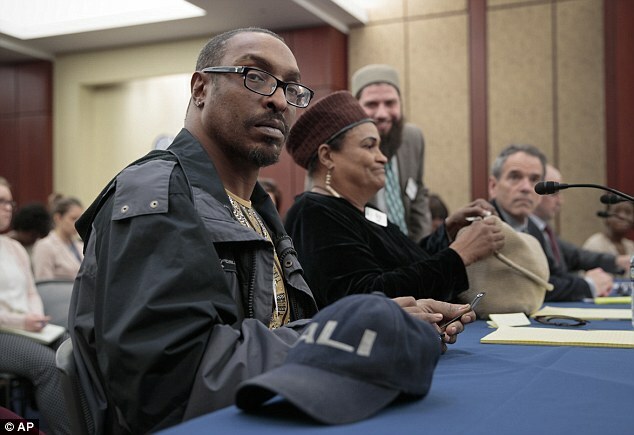 Ali, 44, and his mother traveled to Washington to speak to members of congress about a separate airport detention incident on February 7, in which Ali claims that he was detained for more than two hours in a Florida airport. TSA spokeswoman Lisa Farbstein says a call was made to confirm Ali's identity when he arrived an at an airport check-in counter on Friday. She also said he was patted down because his jewelry set off a checkpoint scanner alarm. Farbstein says the TSA doesn't have the authority to detain passengers. Ali, 44, was returning from a trip to Washington with his mother where they went to speak in Congress about racial profiling. He told members of Congress Thursday he believes his recent detention for extended questioning at a Florida airport is an example of why the government needs to put an end to it. Democratic lawmakers asked Muhammad Ali Jr. and his mother to speak and answer questions at a forum highly critical of President Donald Trump's immigration policies. No Republicans attended. It's disturbing to say the least Carol. This is just another form of profiling. Sick! One has to wonder how many people coming in from overseas to the U.S. are being harassed by TSA agents in general. We're just not hearing about it. Back to the Flynn controversy. Here is another Rachel Maddow piece from this week where she zones in on his sanctions fiasco and involvement with the Turkish government. Really worth a listen if anyone has 20 minutes to spare. Pence Story On Mike Flynn "Impossible To Believe"
In Europe,Turkish Secretaries and other politicians still try to promote for a referendum which allows the Turkish president Erdogan to lead his country in an autocratic way. They were refused to speak in several German cities, mostly for safety reasons. Our constitution sees this as freedom of speech, but interestingly the Turkish laws don't allow to campaign in other countries. That's why they don't so it officially. But the votes of Turks are important for Erdogan since they tend to vote more conservative than the Turks living in Turkey itself (they usually don't have to face the negative impacts of this restricted politics). Now his Secretary of State wanted to speak in the Netherlands, and his plane wasn't allowed to land in the country. So the same reply came along: they're all faschists and Nazis (which is a comparison the Netherlands love since they really tried to fight Hitler as long as possible). But they've got a right-wing demagogue called Wilders who wants to ban all muslims, close all borders,... (you know all of it yourself), so if Erdogan was clever, he'd waited until their elections are over next week. But he's not. So he sent bis Secretary for Families who's in Germany at the moment (I sometimes wonder if there's anybody from his government left in Turkey), and when her car reached the consulate in Rotterdam, it was stopped by the police and was sent back to Germany. Donnamarie wrote: It's disturbing to say the least Carol. I know and I seriously hope that you understood I meant it in a provocative way. We've talked about it so often, it's simply wrong to judge people on their heritage, color or religion - and it's as much against your constitution as it is against mine. Plus: How do you know who is muslim? There's no register, and if somebody plans an attack on behalf of ISIS, he certainly won't tell you about that. That's a really frightening story! And this reporter did a very good job in disentangling all the unanswered questions in this case. To me the connections Flynn had with Turkey were unknown. But how can somebody with his experience not know that that's a no-go? .......so Erdogan is accusing the Dutch of being fascist?!?!! PAN, Trump is doing what he set out to do. Disrupt and dismantle our government institutions. With the help of Steve Bannon he is starting to chip away at it. He is attempting to weaken the State Department. That actually plays quite well with Putin if you think about it. He just let go all 45 or 46 state attorneys general. It is well within his power to do so but it was done suddenly without allowing any of them to stay on a few weeks. He has no replacements as of yet. You've said it and others here have too ... Trump has no regard for the rule of law. Carol, I absolutely understood your thought. We are on the same page. party animal - not! wrote: .......so Erdogan is accusing the Dutch of being fascist?!?!! As I said before, the Netherlands are one of the countries suffering most from the Nazis, and to be called Nazis, must really be horrible for them. 'So if I wanted to come to your country and campaign for my party in my country's election, would that be okay? the German Constitution guarantees everybody the free expression of opinion which is slightly different from the freedom of speech. And is a HUMAN RIGHT. And it also gives every German the right to demonstrate which is a BASIC RIGHT. Since in Germany we've got more than four million Germans who also hold a second citizenship (most of them are Polish, followed by Russians and Turks), they have the right to announce a demonstration for or against a certain issue. The government only has the right to prohibit them when they see a specific danger for the security (which doesn't include possible countermarches since it's the job of the government and the police to organize them in a way that there's no specific danger). So yes, PAN, you had the right to come to Germany and campaign for your politics. Obama did that ahead of his elections, and I remember that there were lots of discussions if he's be allowed to speak at the same place as Kennedy in 1963 ('Ich bin ein Berliner') - he wasn't in the end. Oh yes, I understand that, Carol. It's a democracy. But my question is one I'd like to put to Erdogan. Since he's demanding that freedom in the Netherlands, if the roles were reversed would it be allowed in Turkey? I googled that for about 20 minutes but couldn't find anything. About 1.1 million Germans live in other European countries, most of them in Switzerland and Spain. But I've never heard of any German politician campaigning in other countries ahead of elections. Of course, they usually are politicians before, so they can visit other countries officially and campaign via talking to people and being present in the medias. There was an insightful article in this morning's paper about the upcoming election in The Netherlands on Wednesday. Plus an adjacent article on the Turkish foreign minister's cancelled visit. I have to say I most likely would have glossed right over both if Carol hadn't posted her comments last night. It was really interesting, and disturbing, to read about the unrest among citizens to the influx of Muslims into their country. The comments I read from Dutch citizens were all too familiar to what I'm hearing in the states from many who are "afraid" the U.S. is losing its identity. This guy Wilders sounds like a piece of work. He and Trump would make great bedfellows! At the end of this article it cited a refugee from Iran who moved to The Netherlands 30 years ago and who came from a country where he had seen what religious hatred and exclusion did to his land. Now he sees it happening in the home he adopted so many years before. He said the politicians are exploiting these divisions. "Everywhere...is messed up". sorry for having messed it up for you, I didn't know if this issue would be covered by your medias at all! If you remember our discussion about colonialization and it's impact on nowadays society some weeks ago, the Netherlands were among those countries who still benefit from having oppressed other countries and cultures for centuries (remember that I told you about Shell and the Dutch Royal family and the non-acceptance of immigrants due to a failed immigration politics?). Yes, the Netherlands have a problem with the increasing number of muslims in their country, so have other countries. In Germany, we have four muslims in our soccer national team, three of them with Turkish roots. This has never been an issue, until one of our right-wing politicians brought up the issue last year about a black player in our team. I mean, we know we have those with Turkish roots, so which religion are they supposed to have? Additional, I also don't know how many of them are catholic, lutherian, jewish, agnostic or whatever. They are there to play soccer, if one of them makes the sign of the cross after scoring, that's their issue. If Maradona said that it was 'God's hand and not his' who scored, fine! Most of them don't talk about their believe, and I'm fine with that. I don't talk about my believe at work either, that's private. But it certainly helps demagogues that those who feel they are left behind, trust and follow them because they tell them that everything was better if only immigrants left. The Netherlands have Geert Wilders, France has Marie LePen, Austria nearly got a right-wing president, we in Germany have Frauke Petry and several others from the AfD. They already succeeded in several Eastern Europeans countries (and in the States). They all have similar campaigns: Fear strangers, may the good old times come back, close borders, leave the EU and maybe the Eurozone. And, of course, referendums for every relevant decision. I just googled George's name and found several websites reporting about 'George Clooney's muslim wife defies him, 7 utter words that shock the liberals' / 'George Clooney's muslim wife breaks with Hollywood, 7 words that acknowledge Trump'. I guess they are talking about the essence of her speech at the UN: "Don't get ISIS away with genozide!" Carolhathaway - What Amal said at the UN in no way opposes what Hillary - or any decent human being- wants. Amal did not "defy Hollywood" or anyone else with a conscience. As far as I know she is not a Muslim. At least one of her parents is Druse ( possibly both, I can't remember at the moment and don't feel like looking it up) and I'm sure George agrees with everything she said. I saw those articles, too. They stem from the ultra-conservative and alt-right sites that pollute the web. Don't waste your time on them. I don't waste my time watching those websites since I'm pretty sure I know the content. It just annoys me that people use such an important issue for spitting hate and diversing people.